Here it is…. The long awaited part 2 to husband & wife team Becky and Matt. I personally have been astounded at the progress Becky has made over the last 6 months, and it is very evident from her progress photo the changes she has made in both her training, diet, and lifestyle. Becky has completely changed shape, and I secretly think she has the making of a potential athlete! – Not bad for someone who prior to this has never lifted a weight in her life. 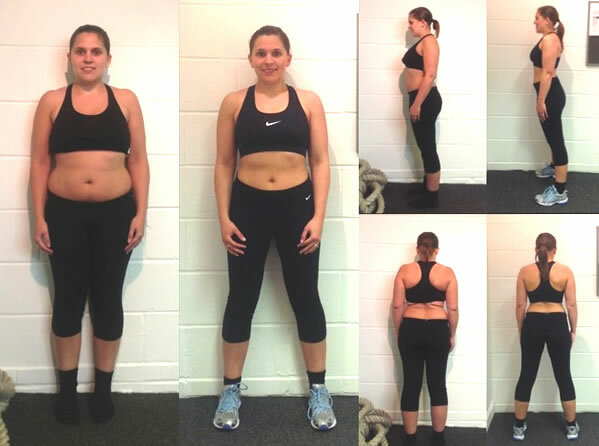 What is interesting is Becky’s progress near mirrors that of Matt: both lost 4 inches off their waist, and Becky only just pipped Matt to the post losing a whopping 9.5% body fat, dropping from 31% to 21.5%. “I was initially very unsure whether I would like a Personal Trainer, but was aware that I needed to do something about my ever growing waistline. My biggest hurdle was my work life, I worked long shifts (both day and night) sat in an office and so exercise was not something I really had time for. 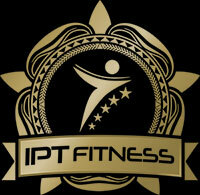 I signed up with IPT Fitness in September 2013 and have really never looked back. Since training with Aimee I have lost 5kg and 9.5% body fat, as well as 4 inches off my waist. I cannot quite believe the results myself and am absolutely delighted! It has not been without a lot of hard work both on my behalf and on Aimee’s. We trained together once a week and she also provided me with training programs to do at home the rest of the time. I do not have any specialist equipment – she tailored everything so I could do my training in my living room. Every few weeks she would change the programs to ensure I achieved the best results. On top of the training program Aimee also provided advice on diet and nutrition. With my shift work I was finding it difficult to lose weight because I was eating at funny times – she devised a new style of eating and I really reaped the rewards.